I don't know about you but one of my favorite parts of Christmas has always been the stockings. I used to love waking up to see the stockings stuffed to brimming with nuts, candy and those mutant sized oranges and apples that only appeared at the holidays. Miniature sized toys would round out the fun. Now, I love to look for the perfect little gifts to stuff inside the stockings of others. Today, let's explore the fun of stockings and their stuffers. First stop, the rikrak shop. 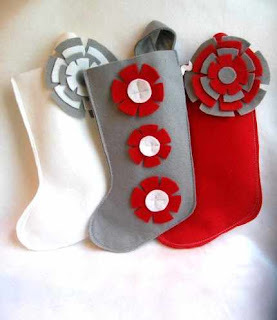 Here we can find fabulous felt stockings, in an extensive variety of colours and styles. These are so much more fun the traditional fuzzy red ones with white trim. Here is a great addition to a stocking for a child. 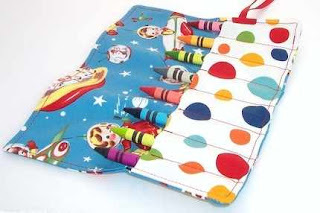 This little crayon roll-up by HappyBabeeandBeeyond is a perfect thing for year round use. 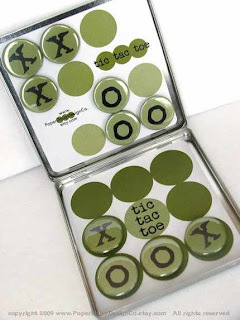 This travel tic-tac-toe game from PaperDaisyDesignCo is also a great game to tuck in to a stocking. With its magnetic game pieces and compact size, its perfect for those holiday road trips to Grandma's, too. 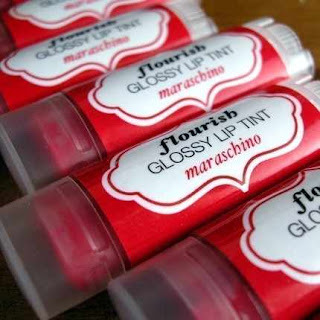 A perfect gift for a woman or a teen girl, these tinted lipbalms by FlourishBathBody look so yummy. A trio of little notebooks would tuck neatly into a stocking (or three!). 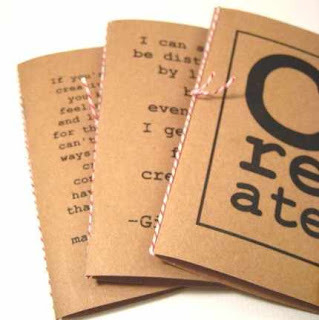 These wonderful natural look quote notebooks are from zany. Finally, what would a stuffed stocking be without some festive candy. 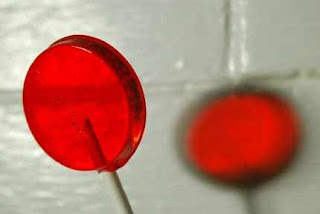 I love the fabulous Christmas red, and seasonal pomegranate flavour of these lollipops from ThisCharmingCandy. But wait... I think all through this exercise, we have assumed that everyone made it onto the "nice" list. Surely, someone must have made the naughty file. 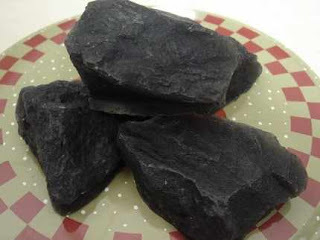 If so, fill their stocking with coal... from carvelcountrysoaps. Well, that's it. The shopping is done. On to planning the rest of the holiday fun! Time to trim the tree!! See you tomorrow. Cute ideas! I've also seen some adorable felt finger puppets from various Etsy sellers. Etsy has become one of my favorite places to shop!